What does the term "hi-jack" mean in the world of poker? 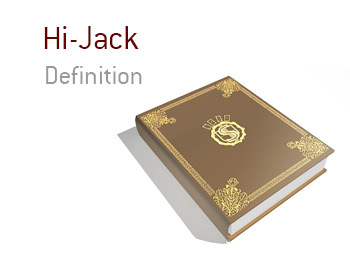 What is meant by the term "hi-jack"? In poker, the "hi-jack" is the seat that is two to the right of the button and one to the right of the "cut-off". 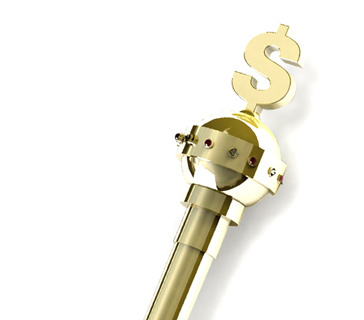 Over the years, thanks to the increasing aggression shown in the game of poker, many people have taken to raising from the "hi-jack" in order to win the blinds. The thought process? The more aggressive play has usually been reserved for those sitting with the button or in the cut-off. If action folds around to the "hi-jack" and they raise, well surely they must have a strong hand as there will still be four players left to act (the cut-off, the button, the SB and the BB). Smart players have capitalized on this line of thinking by opening up in the hi-jack. The problem, of course, is that they will be at a positional disadvantage if they are called by either the button or the cut-off. You are sitting in a $2/$4 No Limit Hold'em game at your local casino. The play has been very loose so far, as there are a number of wealthy tourists sitting in the game. You are sitting in the hi-jack and action folds around to you pre-flop. You look down at pocket Deuces and elect to put in a raise. The cut-off, SB and BB are all fairly tight players, but the button is a maniac that you are hoping to bust. You figure that he will re-raise. If he does this, you have decided that you will call. The cut-off folds, the button raises (as expected) and the SB and BB both fold. You call, as you and the button are both playing with very deep stacks and you are hoping to possibly flop a set. The flop brings 2-2-Q, giving you Quad Deuces. The button ends up going broke with pocket Kings and you scoop up a very large pot.